This week we shared unique gift ideas such as a DIY letterpress machine and we also featured innovative finds and new products like the best earbuds for tangle-free tunes and an invisible belt. Planetarium. 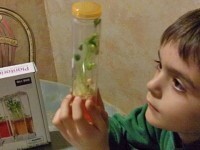 Watching plants grow from seeds is a time-honored learning experience for kids. Usually we’re restricted to above-the-root observations, but not with this gel. It’s translucent, so you can watch the entire germination and photosynthesis process through acrylic containers. Plus it’s astronaut-tested, which completely ups the cool quotient. (Starting at $6.95) Buy Planetarium here. DIY Letterpress. Lifestyle Crafts has made it possible to practice the art of letterpress at home, with its DIY letterpress kit. 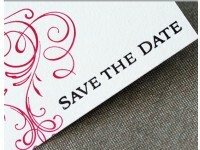 It has everything you need to print beautiful invitations, note cards, stationery and more. The tool that does the heavy lifting... er, heavy rolling... and makes a unique gift idea. To create your custom projects, you roll inked printing plates through the Epic tool, which applies pressure to form impressions on the soft, thick letterpress paper. (Starting at 11.95) Buy Lifestyle Craft's DIY Letterpress Machine here. Zipbuds. What makes Zipbuds unique is the zipper-integrated cabling. Made from Kevlar braided nylon, the zipper is substantial enough to resist knots and strong enough to hold up to a heavy workout. When you’re listening to music, you can unzip the cord to get more slack between the two earbuds or zip it up tighter for a snug fit. Check out Zipbuds, the best earbuds we've found so far. ($39.95) Buy Zip Buds Tangle-Resistant best earbuds here. Organic Superfoods. Navitas Naturals works on the simple philosophy that those "super" foods are at their best when grown organically and delivered to consumers with a minimum of processing. Navitas Naturals is a certified organic, green business headquartered in Marin County, California that got its start when founder Zach Adelman began importing maca, a nutritiously rich root vegetable that grows in the Peruvian highlands. (Starting at $23.95) Buy Navitas Superfoods here. Invisibelt. To belt or not to belt? It’s a question most of us have debated. You don’t want to leave the house with a big gap at the back of your pants, yet a bulky belt buckle would ruin the lines of your fitted top. So which do you settle for, a loose waistline or a bulging midsection? Talk about a no-win situation. Invisibelt is a flat, smoothing adjustable belt holds up your pants and jeans around the waist without the bulk of traditional belts. ($20.00) Buy Invisibelt here. Great post! I myself think that finding the right gift can sometimes be difficult. What I think is that people tend to like unique gifts that are hard to find and not sold in stores. People like the gifts more this way since they cannot be replaced. I have been buying a few items from www.thinkfuntoys.com and giving it away to friends and family. They all love it. The stuff there are pretty cheap and unique and they deliver fast.